Happy Monday! I’m excited to welcome Kimberly Schlegel Whitman to the Moms with Style series. You may have heard of her through her fabulous blog or books or you may have even seen her on the Today show! I’ve long been inspired by her work and beautiful, classic style and I know you will be, as well! 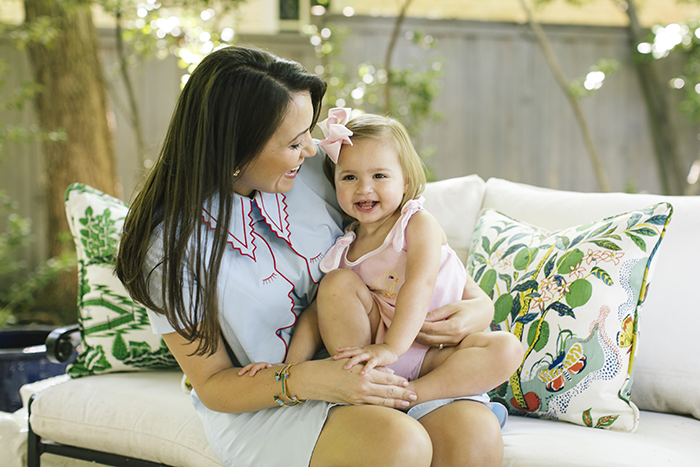 Your latest book, Monograms for the Home, was one of my favorite gifts to give this past holiday season.What are some of your favorite monogrammed gifts to give to new moms and little ones? That is so nice! Thank you for the support! My new favorite gift is a set of monogrammed guest towels from my new linen line, Halo Home. How has your beauty and style routine changed since becoming a mom? OH my, well, I have to admit that I went through phases after both little ones were born when I just hated getting dressed. I was tired and frustrated with my clothing that either felt too tight or too big! Now I find that I have two modes – a simple dress with a statement jewelry piece that can get me through a day of meetings and carpool or skinny jeans, flats and a button down or sweater. I love playing with clothing and shoes and purses and jewelry but for the sake of time, I typically find a few looks that work and put them into rotation! We go to a lot of events though so I use that as my outlet to play with fancy things! What are some of your favorite products that you love for staying organized and looking so put together? I wish I could stay organized! I’m good at organizing but not at keeping it that way! I’m very into streamlining things right now and cutting out the projects, things, stuff, etc that distract from the tasks that we really need to get done. I clean out my closet all the time – just constantly pulling things out instead of setting time aside for a major clean. Do you have any advice for how you balance work and family? I try really hard to get the majority of my work done while my children are at school. Of course it doesn’t alway work out that way but it is always my goal! The best advice anyone ever gave me about volunteering at the schools is to take on jobs that your children will see you doing (like lunch duty or library duty or helping with a class party) and skipping positions that take time away from the kids. I travel for work quite often in short over night trips so I try to schedule extra time with the family before and after. We also spend time every summer away at the beach cottage where I grew up. It is so much fun to have that quiet family time together. I still have to put hours in to work but we don’t have the other distractions that we have at home. If you had a whole day just to yourself, where would we find you? Thank you so much to Kimberly for participating in this series! Be sure to check out her brand new linen line Halo Home (how cute are these emoji cocktail napkins?) and her book Monograms for the Home, and don’t miss regular updates and inspiration on her blog KimberlyWhitman.com. Thank you so much for featuring me! I really appreciate the support! 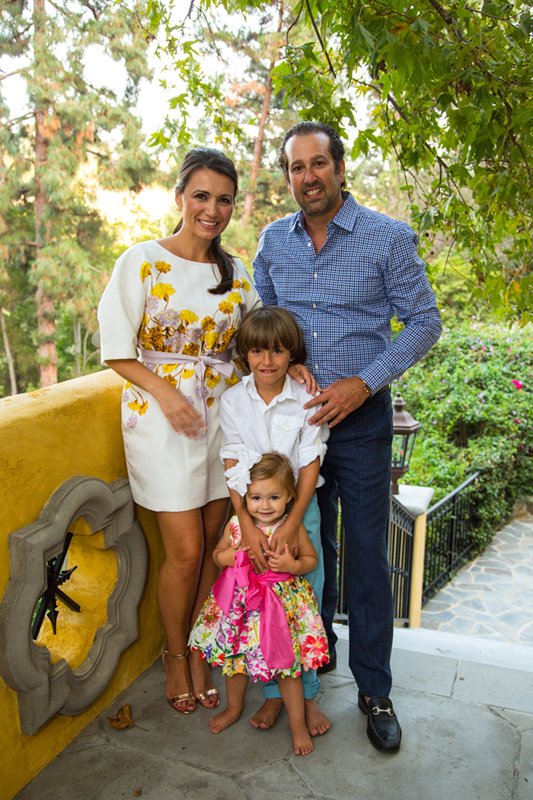 Such a beautiful family (and monograms, too,)! Beautiful inside and out! Kim always keeps it real. Thanks for the feature.